We tried out most of the items on the menu at the Indiranagar outlet, but my favourite of the lot was the Langarwali Daal. 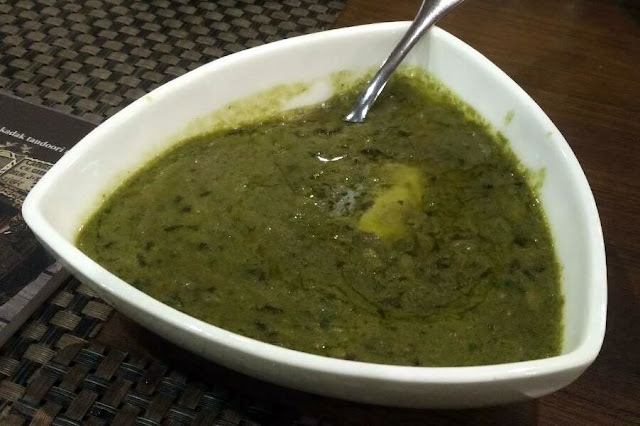 The Daal had a greenish hue and was made of a mixture of urad, Bengal gram, and black lentils. Though I have never eaten the daal at a local langar, the daal served here had a homely feel to it and the dollop of white butter made it quite creamy. 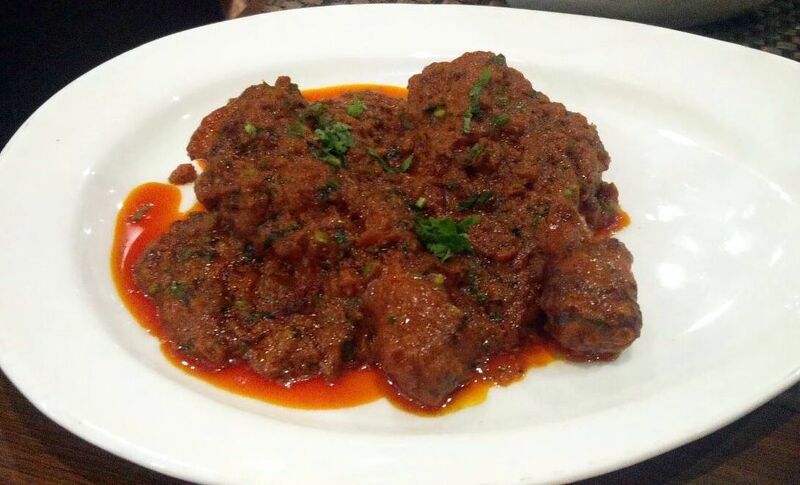 Other than the Langarwali Daal, another highlight was the Tangdi Kebab Masala which is an all time Punjabi favorite. 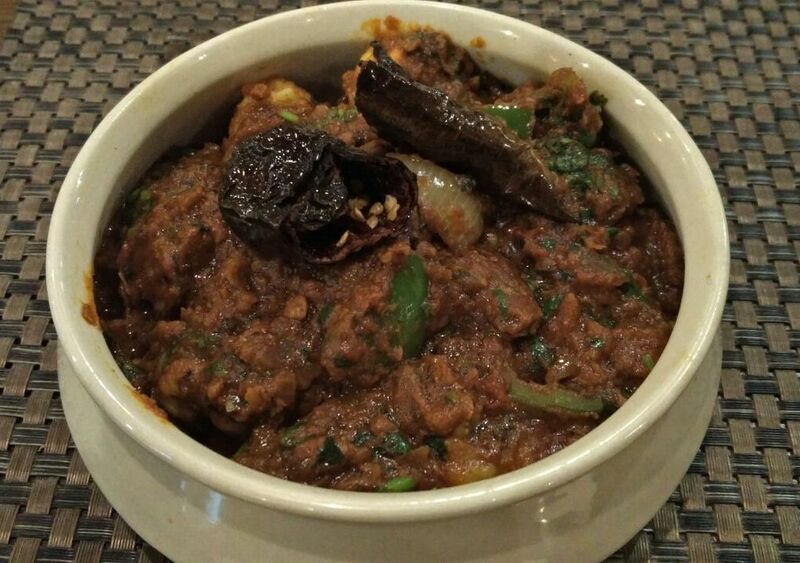 The Tangdi Masala was quite spicy but the confluence of flavours really brought out the meat lover in me. Although this is poised as a starter, butter rotis / phulkas would make a killer accompaniment. 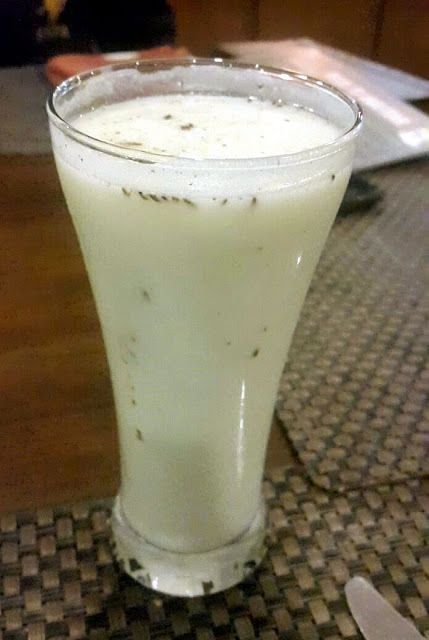 The outlet also served drinks such as Mattha and chilled Kesar Lassi to gulp down the food along with it. The Mattha, which is basically chilled buttermilk with black salt and jeera, is one of the best drinks to aid in the digestion of the rich food served. They should really serve these in large copper tumblers which would give a more authentic feel of the highway festival to the diner. 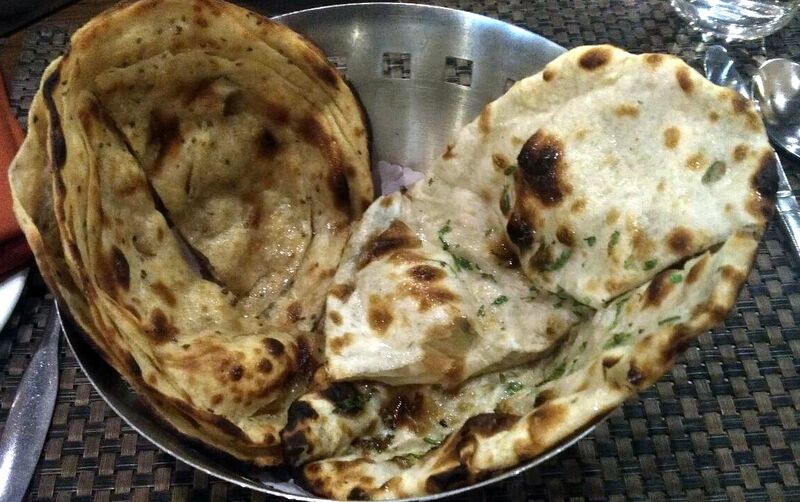 No NH1 food festival can be comprehensive without the inclusion of the famous Parathas which are available around Murthal. In my opinion, paranthas are very underrated in the Indian cuisine. 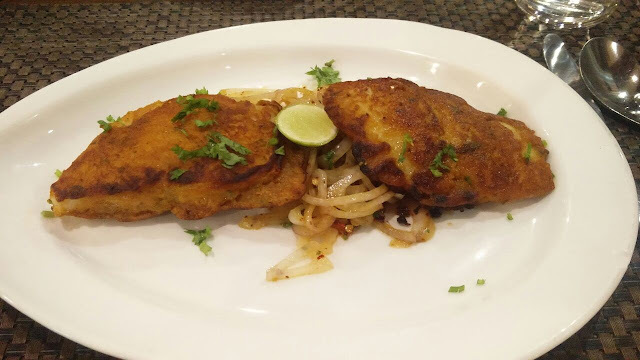 Although the preparation is quite simple, the taste of the filling varies from place to place, some prefer to have it with butter, some with pickle and the others with raita - catering to a huge group of food lovers. In fact, parathas, just like biryani, can be a full-fledged meal. The menu had three different parathas - Anardana Pudina Paratha, Aloo Pyaaz Mirch Parantha and Lachchedaar Ajwaini Parantha. The Aloo Pyaaz Mirch Parantha, which is mashed potatoes mixed with spices, cut onions and chillies and layered between dough, was the best of the lot. The three of them resembled stuffed naans more than the paranthas and were served with butter and pickle. Chicken Tariwala, Fried Fish and Achari Mirchonwali Jhinga were some of the other dishes in the NH1 Highway menu. 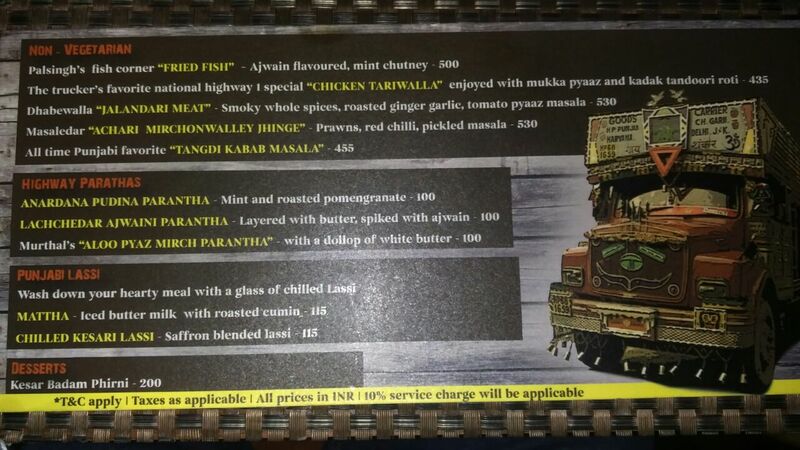 The vegetarian fare included the Delhi handcart special Chhole Paneer Masala, Kofta, and Shahi Paneer. To finish it off, we tried their special Kesar Badam Phirni which was garnished with chopped almonds and saffron strains. 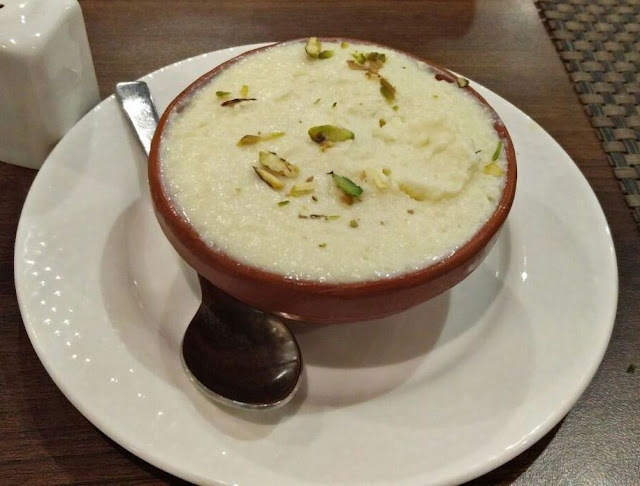 While sweets and desserts are not my areas of expertise, I really liked the phirni. It was optimum sweet and didn't add to the heavy feeling in the stomach. 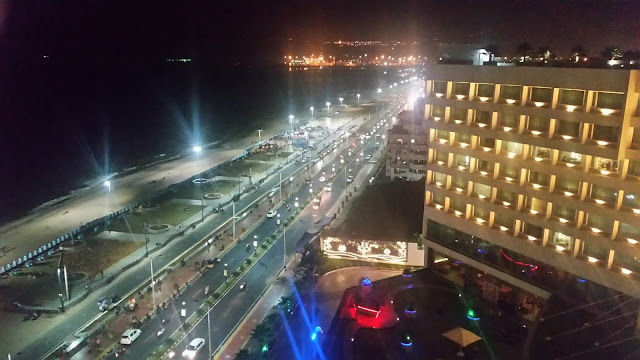 Some things which ought to be included on the menu are Dal Makhani, the thin jalebis available throughout the highway stretch and kadi chawal. 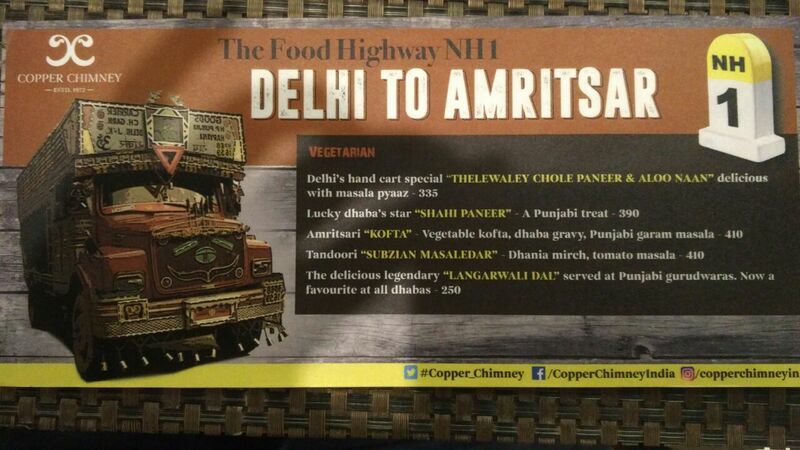 Festival Dates: 7th July - 15th August at all Copper Chimney outlets in India.